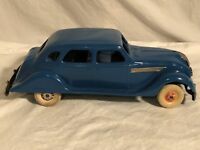 VINTAGE ORIGINAL PAYTON PRODUCTS PLASTIC TOY CAR ~ YELLOW ~ 1940's STUDEBAKER?? tinas_toy_box has no other items for sale. 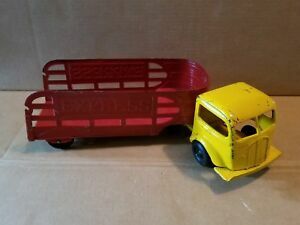 Divco Metal Milk Truck,G.Fox & Co.Connecticut.Made by Kingsbury Toys Keene N.H.